That’s how it played out. All those articles were placed just as in Indian Bank case from earlier. 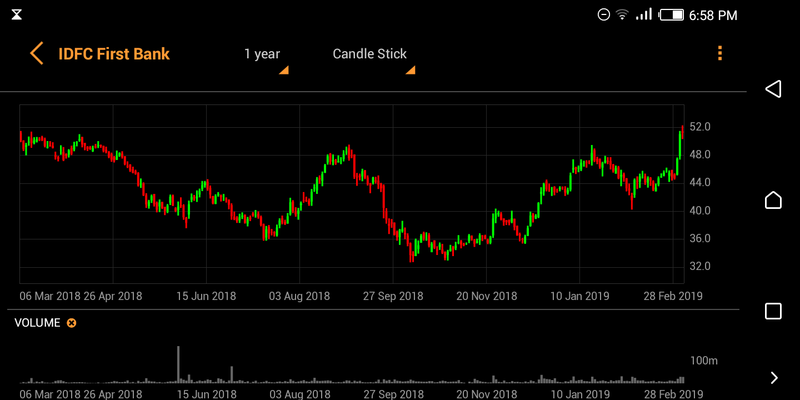 Hello all senior boarders, have a specific question regarding the TA approach.How do you short in Indian markets in delivery terms ( not intraday). Have been trying to look at some method through which we can play the downfall as well. The smallcaps broke the trendline as expected (1% down from yesterday’s close), one can expect more downside. From this point, we are already down by 3.7%. Guessing we are gonna go down bit more as per the trend lines. And plotted the support levels. 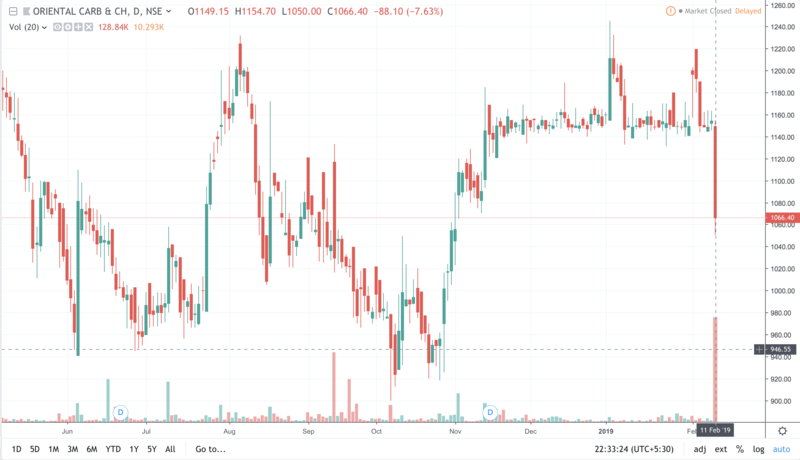 When OCCL announced buyback, the stock immediately rushed to the 1150 and stayed there itself, stayed like a dead dodo. Thanks to the daily buyback, which lasted for around 2months. 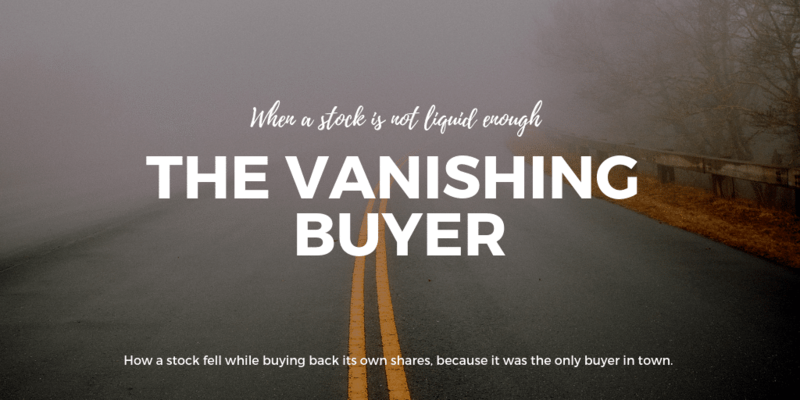 Once the (only) buyer is gone, the stock has tumbled. 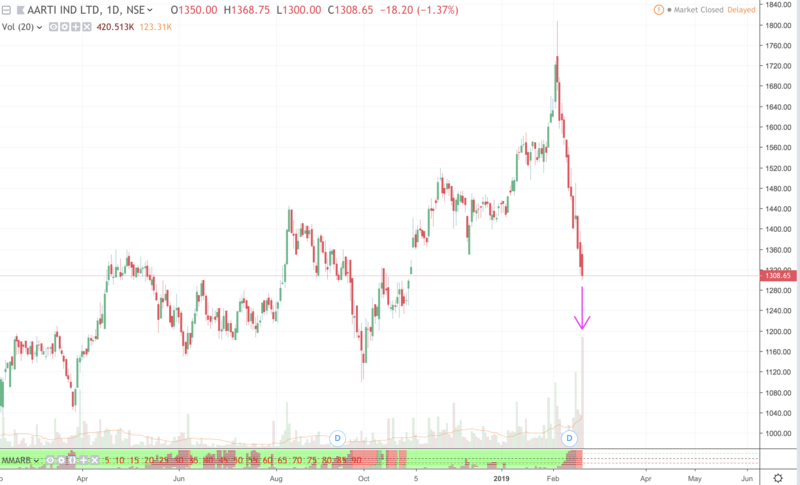 Good job on the volumetric accumulation and distribution analysis. 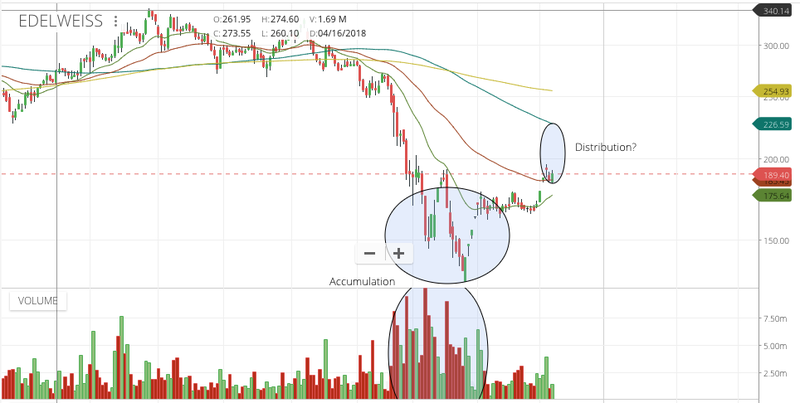 Also what can be seen is breakaway gap and run away gaps with volumes (circled accumulation by you) and exhaustion gap (right below circle marked distribution). Notice the lack of volumes on exhaustion gap which closed very soon. Also notice the rising expanding wedge breakdown there shown below. Have shown both daily and weekly so indicators can be judged better. Seems 113 is imminent. On monthly pattern looks like a bearish flag breakdown. 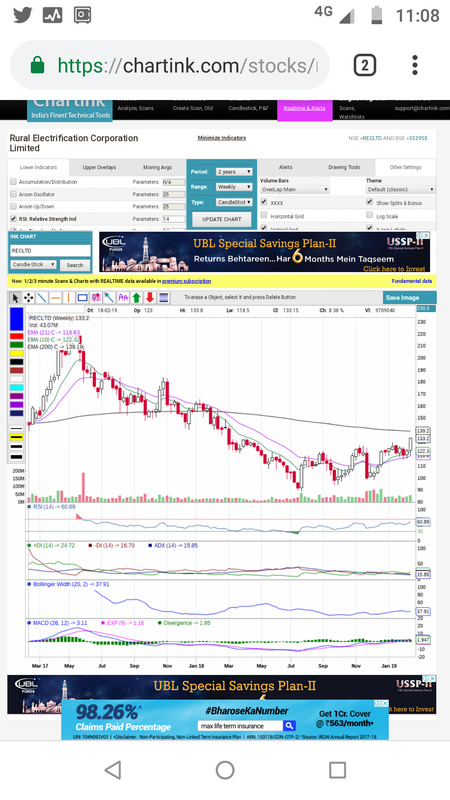 No i dont see textiles much but charting can be done nonetheless. 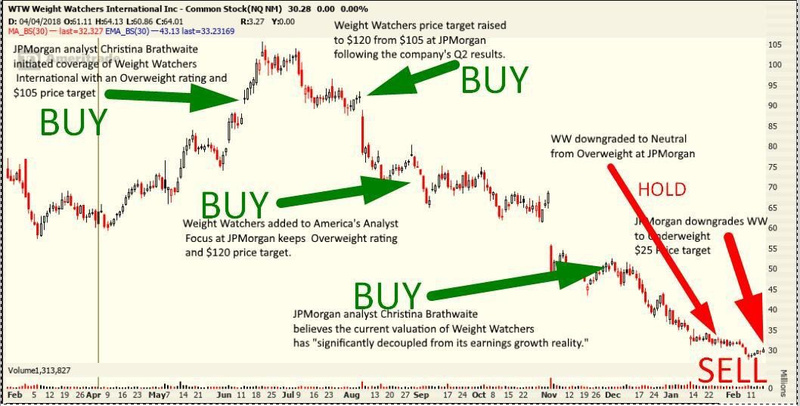 Interesting how different views and the way one looks at charts can have same results in targets. 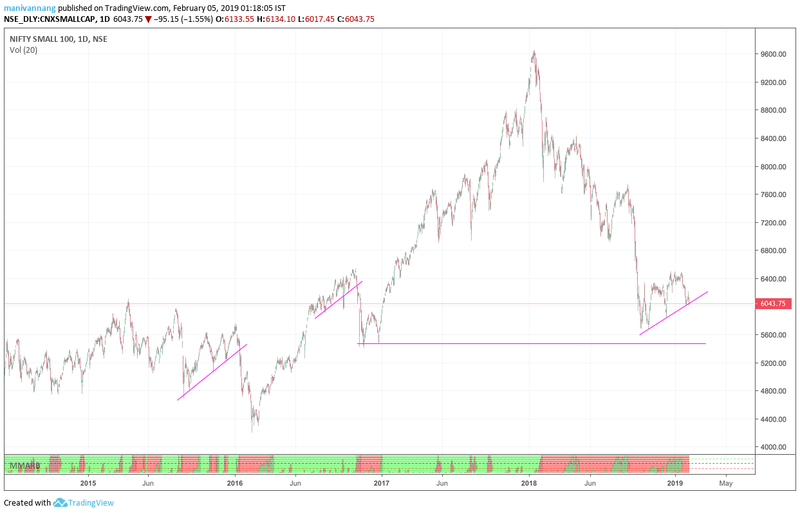 your rounded top is also, in effect a complex H&S pattern with 1450 peak to 1100 neckline which gives 350 points downside target from 1100 or 750, which was done also splendidly by the pattern. 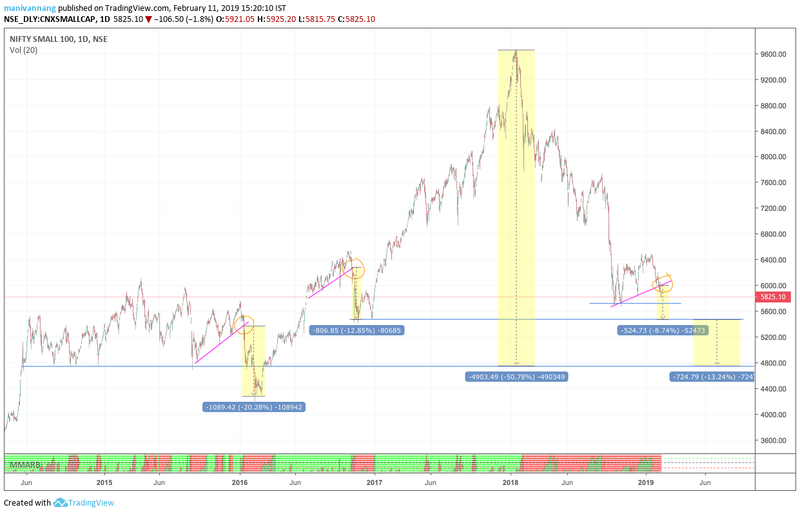 Since not much can be inferred to even by monthly indicators as to further downside, quarterly support seems to be poised at 505. Also note the rectangle breakdown on monthly also suggesting further slide. 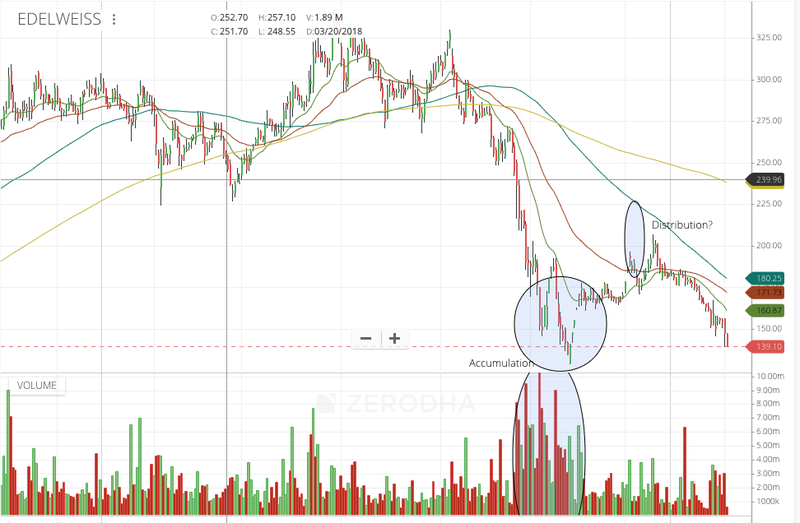 Fundamentally, a buy around CMP would be fine for 50% and another buy at either 505 on slide, or above 660 for balance 50% on confirming bottom in place. 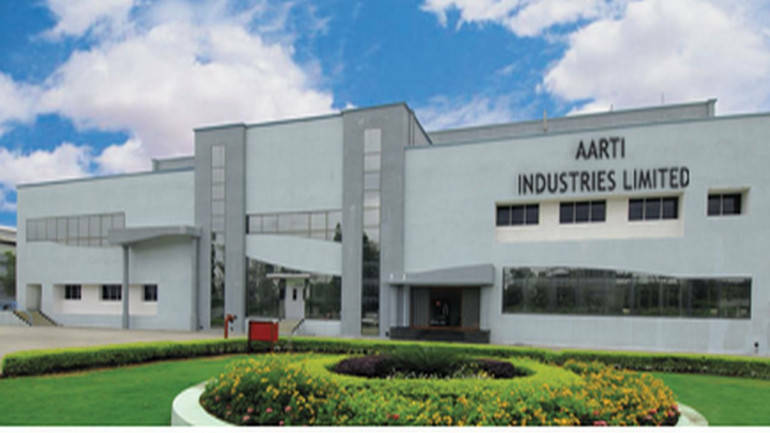 The contract entails supply of a high value specialty chemical intermediate for a period of 10 years. 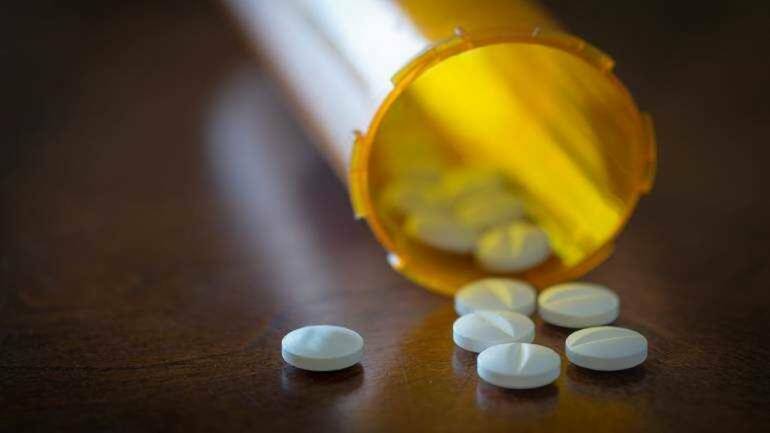 The Mumbai-based company has "signed a USD 125 million (Rs 900 crore at current exchange rate) supply contract with a leading global chemical conglomerate," it said in a filing to the BSE. The valuation looks very high even post the recent correction at 25 P/E and 15 EV/EBITDA when most similar companies are at 15 P/E and about 7-10 EV/EBITDA. You are right, when the media goes gaga over anything we need to do exact opposite Some big fish exited today and in the last few days. 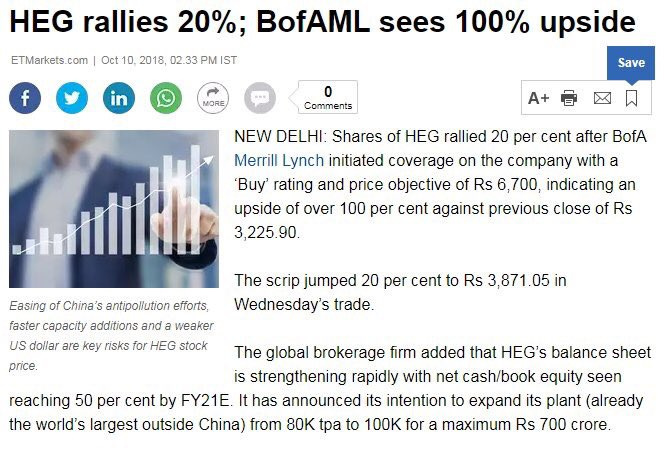 I was tracking this and was wondering why this stock is reacting negatively with the positive news then avoided. And you posted about the Edelweiss saga. definitely fishy. Beyond the 1000 mark pennant breakout, only euphoria buying has raised the price. 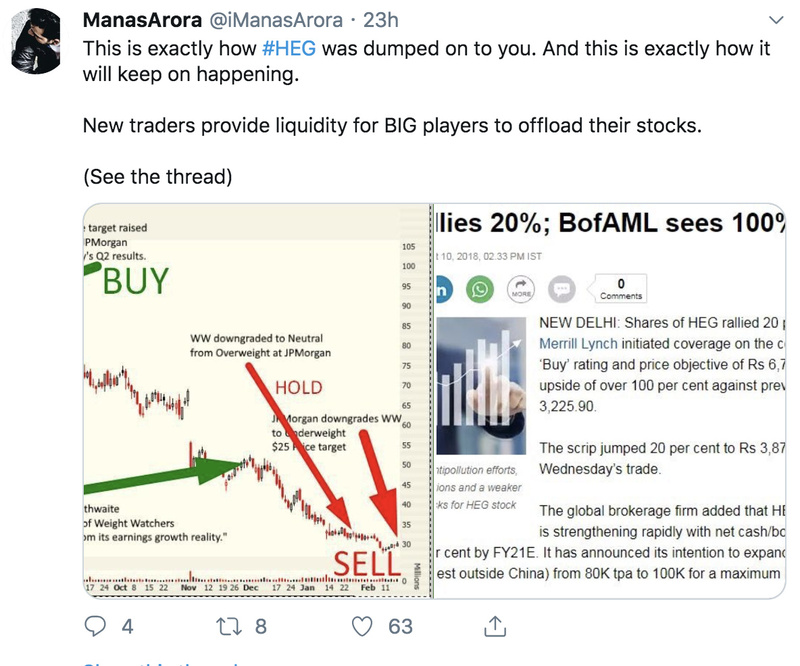 Noticeable offload of shares by heavy hands seen at 1350-1150 levels. and yet again from 1750 to 1314. Massive divergences in stochrsi and TRIX. 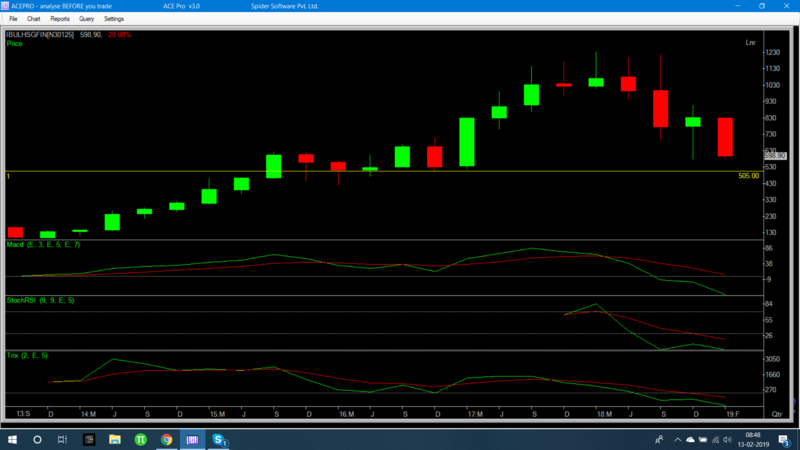 Expecting re-visit of 1060-890. BTW, edelweis hit 116 as opposed to 113 which i said and bounced. Attached are charts of both power ancillary/distribution companies. 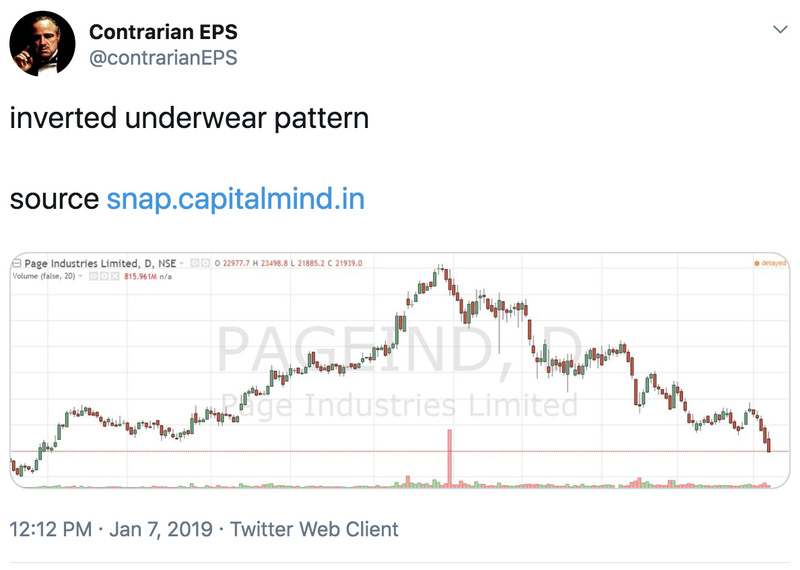 Interesting to note is that both have made good accumulation pattern during this difficult phase for small cap and midcap. Both have kind of broken major resistances and even look good on yearly charts. Looking to go long on both on dips with a medium term view . 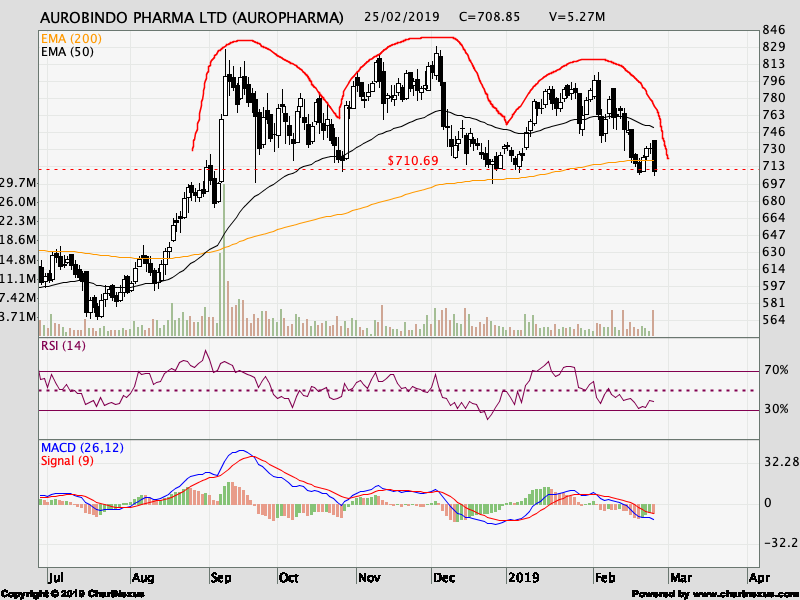 Do you guys see a Triple top or Head and Shoulder spread over a time of 6 months in Auro Pharma ( Both are bearish only). Confirmation may appear soon if it breaks neck line decisively. Fundamentally dont have much idea on this, quarterly numbers looked fine except some margin percentage fall. 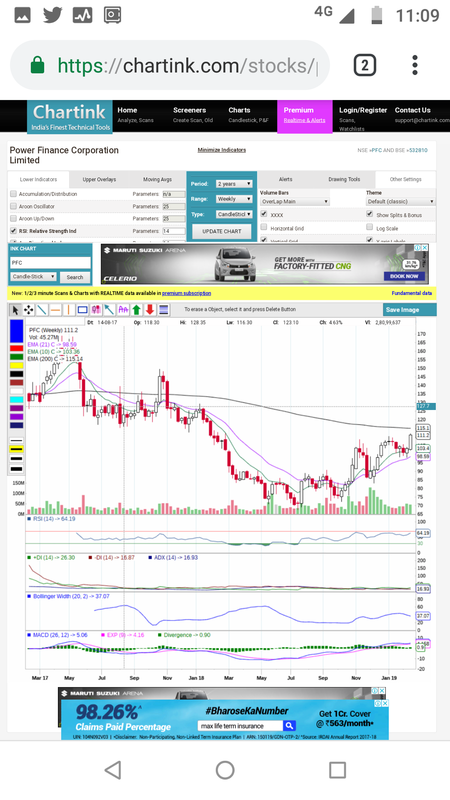 Cup n Handle break out and Converted H&S break out in IDFC first Bank above 49.55.